Brown Brown: Have A Nice Day Daddy! Have A Nice Day Daddy! 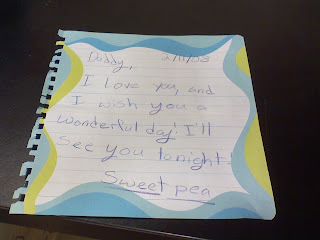 I found this note from Sabrina hidden in my laptop. She knew I would see it first thing in the morning when I got to work, which I did. It put smiles on my face and I had a pleasant day. What more could a Dad ask for? I am blessed with great loving kids.